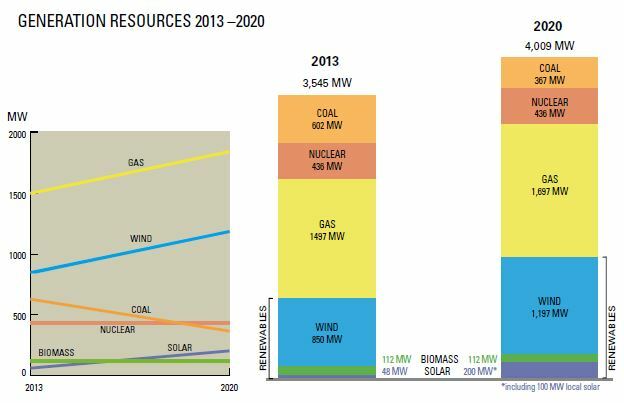 Solar beats nuclear, coal and natural gas, even at the presently low cost of natural gas. If Austin Energy gets 250 megawatts of solar on line, it will constitute about 10% of its total capacity. Two hundred fifty megawatts can supply electricity for about 125,000 Austin residences under normal conditions. Austin Energy also has contracts for 850 megawatts of electricity from wind. The availability of wind and solar power to Austin was largely made possible by the state’s CREZ project, the construction of transmission lines from West Texas over the last several years to make wind and solar resources, abundant in West Texas, available to the urbanized areas around Dallas, San Antonio, Austin and Houston. At a cost of $5 billion, the CREZ lines will eventually transmit more than 18,000 megawatts of power from West Texas and the Panhandle to metropolitan areas of the state.